Leo’s Auto Body Shop 909-949-2800 Specialists in Auto Body Paint Upland and its neighboring Los Angeles and Sen Bernardino areas including Ontario, Rancho Cucamonga, Claremont, Pomona, Fontana, La Verne and many more. Wouldn’t you like to fall back in love with your car? Whether it has lost its original beauty and vivacity through an accident, collision, or time and usage, your vehicle can get that fresh new look with a brilliant paint job by the specialists of Leo’s Auto Body Shop. 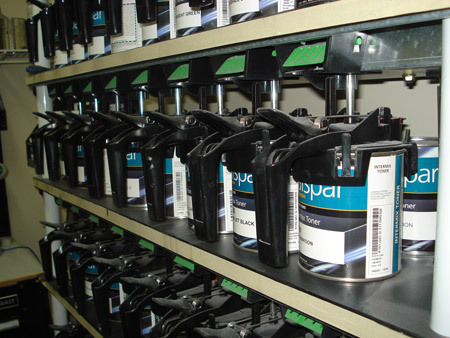 Our CA-based facility features a fully-equipped and modernized car paint department, where our team can bring the charm of your vehicle back to life. 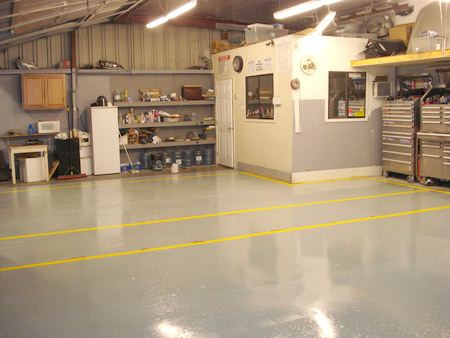 Our auto repair shop in Upland caters to minor and major paint service jobs in Upland and its neighboring Los Angeles and Sen Bernardino areas including Ontario, Rancho Cucamonga, Claremont, Pomona, Fontana, La Verne and many more. With one of the best auto paint facility, combined with the extensive experience and know-how of our skilled painters, Leo’s Auto Body Shop promises the most impressive auto paint jobs in CA. Whether you want a complete repaint or a minor paint job to hide scratches and collision repair traces, we guarantee a flawless paint with no grain or hint of uneven tone issues. Our specialists diligently follow a procedure that involves hours of cleaning and preparing your vehicle for the makeover. And the results are same for every vehicle whether it is a huge SUV or a highly stylized sports car. 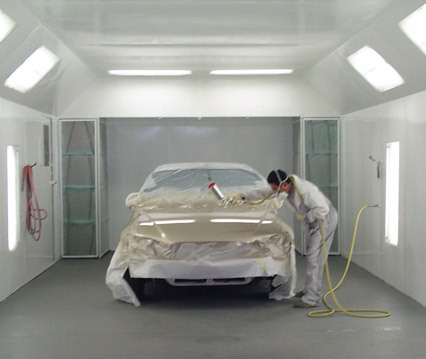 A specialized car painting job is also a part of our auto collision repair service. We use high-end digital technology to find an accurate match and restore your vehicle’s pre-accident look and appeal. Want new car paint but can’t handle the gloss and shine? You don’t have to. At Leo’s Auto Body Shop, we understand how the choice of paint finish differs from customer to customer. That is why we bring the widest selection of car paint finish to choose from. Whether you want it matte and trendy, or shiny and sparkly, we have you and your car completely covered. So, no matter how unique your taste or style may be, you can rely on us to satisfy your car paint needs. 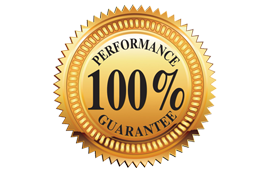 At Leo’s, we believe that our customers pay for quality. That is why quality is what they get in return. This highest level of quality is achieved by our investment in the finest factory-approved range of products that are bound to last for a lifetime. From tools to paints, we only use premium solutions whose results are made even better when utilized by the expert and trained hands of our car paint specialists. From auto body repair to car paint jobs, you and your vehicle deserves the best in service and results. Call Leo’s Auto Body Shop today at 909-949-2800 or get a free e-estimate for services in Upland, and its neighboring Los Angeles and Sen Bernardino areas, CA. Had Car Accident in Upland, no worries. 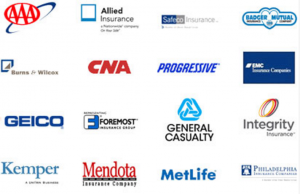 We will take care of your car body shop repair and work with major auto insurance companies.